The western half of the North American continent is a place of plateaus, rivers, canyons, and oasis. It’s home to four gigantic and unique desert regions: the Mojave, the Sonora, the Great Basin, and the Chihuahua. Within and around these deserts jaguars dwell, plants bloom, arches are formed, big horned sheep climb the red cliffs, native tribes carry on timeless traditions, and massive monsoons pour down from the sky. The Arid West is full of life. And yet, since the doctrine of manifest destiny kicked off an unprecedented and unsustainable wave of colonization in this region, the popular imagination has been filled with images of the west as a desolate place. A blank slate to be filled. A dead place to be revived. An empty lot to be developed. Atop this empty lot, we’ve placed huge, charismatic personalities, cowboy outlaws and righteous sheriffs. Even our more progressive visions of the west have tended to center around these larger than life (and usually male and white) personalities: Edward Abbey, John Muir, John Wesley Powell. But there are other stories being told, and other people telling them. All we have to do is pay attention. 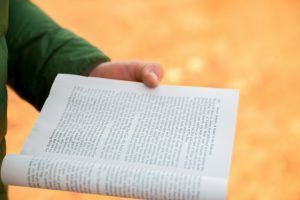 Here is a list of some of our favorite books about these other, smaller stories of the Arid West. All of the authors also happen to be women. So pick up a few copies before you head down the river! There’s no better companion to bring along than great writing. This book, Silko’s first after her groundbreaking novel Ceremony, is supposedly a memoir. But, it’s not like any memoir we’ve read before. That’s because Silko’s own trials and tribulations only seem to occupy a small fraction of the narrative. 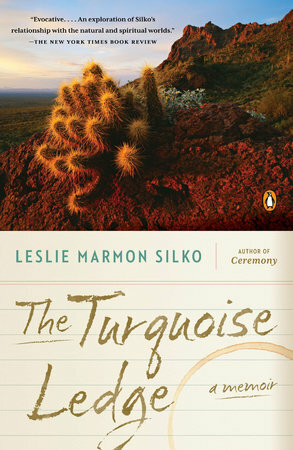 The Turquoise Ledge is less a memoir of Silko’s life than it is a memoir of the Sonoran desert itself. Silko does speak about her family in the beginning of this book, her indigenous roots and difficult childhood, but it becomes clear later on that her family includes more than just humans. It includes the mesas and mountains, the turquoise rocks and the desert rain. It’s a book in which ‘nothing happens’ but everything is considered, discussed, brought into the fold of a meaningful, humble life. It would be impossible to talk about women’s writing of the Arid West without talking about Mary Austin. 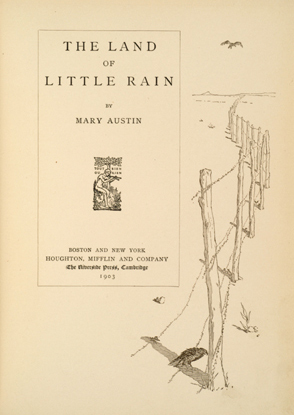 Published in 1903, her book Land of Little Rain was one of the first naturalist explorations of the Mojave desert region. Her book is broken up into fourteen short stories and essays that include a vibrant cast of characters, from coyotes and quail to miners and cowboys. She often writes about her interactions and friendships with the indigenous people of the Mojave. Her essay, “Shoshone Land” delves into some of the intricacies of Native American tribes like few writings of the time. In 1963, photographer Eliot Porter went to the famously beautiful Glen Canyon to document what was about to be lost. 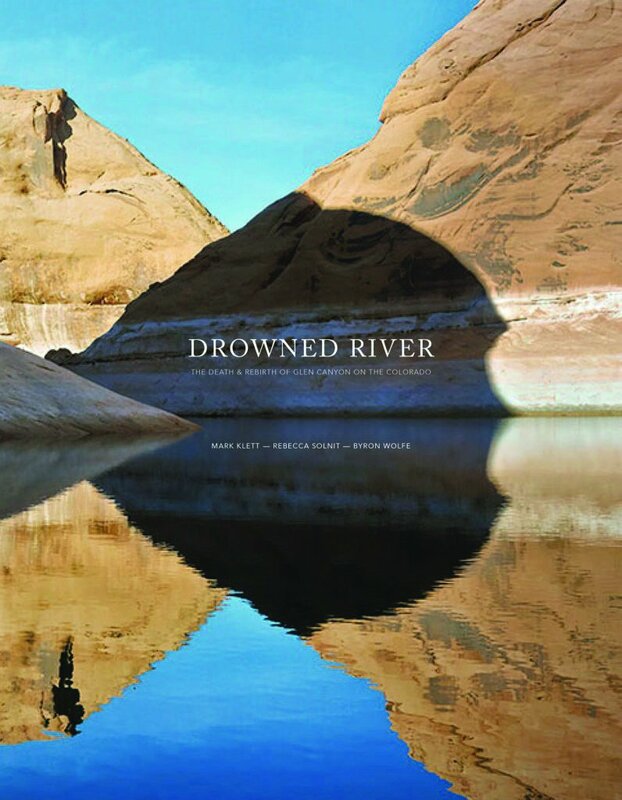 His photos were published as a book, The Place No One Knew: Glen Canyon on the Colorado. Then, the canyon was drowned by the creation of the Lake Powell. But the story doesn’t end there. Rebecca Solnit, along with photographers Byron Wolfe and Mark Klett, have gone to the Glen Canyon area to retrace Eliot Porter’s steps, and to understand what the future of a drowned canyon might hold. 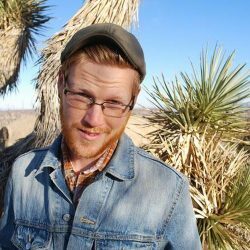 Over five years, Solnit, Wolfe and Klett interviewed local residents, took photographs and did research into the ecology of the area. In that time, historic and surprising developments in the politics and ecology of Lake Powell mean that the lake could be drained, and that Glen Canyon might breath once again. You can read a teaser of this book in the California Sunday Magazine, and you can pre-order a copy of the forthcoming book here. This book is actually a collection essays by dozens of women writers. In the collection, the works of seasoned, and often famous, women writers are put right next to a series of submissions by ametuer women’s writers. It’s a fabulous and novel idea that was brought to fruition by the inspiring Story Circle Network. 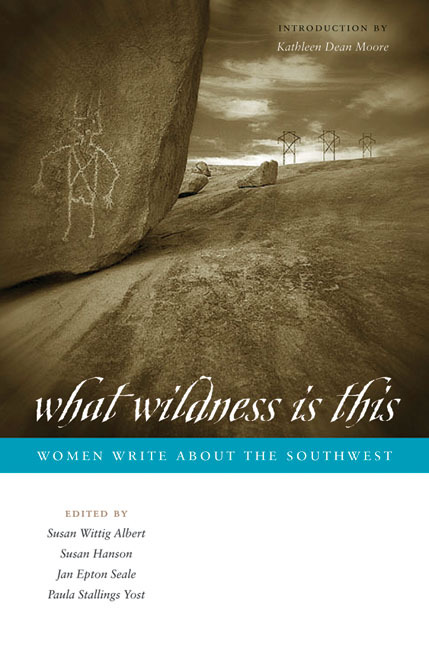 This collection includes classic work from Terry Tempest Williams, Joy Harjo, Gloria Anzaldua, and Barbara Kingsolver. But the real joy of reading this book is in getting a glimpse into the writing and the lives of less celebrated authors, those whose prose might not carry a whole book, but will certainly entertain and fascinate the reader. You may have read about the indomitable Frances Wisner in our previous blog post about the wild inhabitants of the Salmon River banks. She first came upon her remote home in the Idaho wilderness on horseback in 1940. And then she never left. 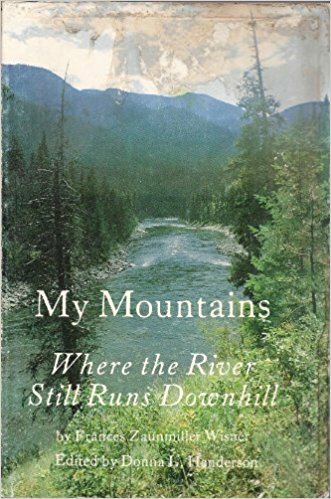 This book is a collection of her writing on life, the environment, rural living, and all kinds of other topics. In the book, Frances writes with the same grit, wit, and candor that she seemed to possess in real life (you can read a bit more about her character in this fascinating and entertaining little account). Unfortunately, the book is out of print and very hard to find. But I know for a fact that you can get it through interlibrary loan from a few of the University libraries in Idaho!